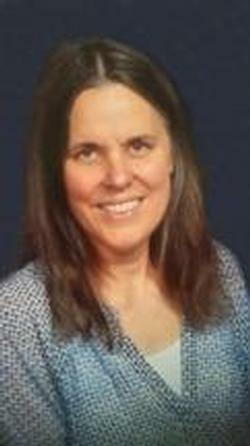 Sherry Lynn Ingalls, 60, of Sioux City, passed away Monday, September 18, 2017 at a local hospital. Celebration of Life was held 3:00 pm, Thursday, September 21 at Kingdom Hall of Jehovah's Witnesses, 4130 War Eagle Drive, Sioux City, IA 51109. Arrangements are under the direction of Waterbury Funeral Service of Sioux City. Sherry was born on October 16, 1956 in Ottumwa, IA, the daughter of Wilbur Bane and Irene (Clayworth) Tortat. She attended the Iowa School for Deaf in Council Bluffs, IA, graduating in 1974. Sherry married her high school sweetheart, Darrell on October 26, 1974. Sherry was a homemaker and loved taking care of her family. She also enjoyed riding horses, sewing, gardening, and doing projects around the house. Sherry had a strong faith and took pride in being one of Jehovah's Witnesses. Survivors include her father, Norman Bane of Ottumwa, IA; mother, Irene Tortat of Centerville, IA; husband, Darrell of Sioux City; daughters, Kristina Howe and her husband Jeffery and their children, Garrett, Grant, and Gavin of Princeton, North Carolina, and Cynthia Ladyzhensky and her husband Leroy and their child, Kinsington of Cleveland, Ohio; half-brother, Paul Bane of Washington; and sisters, Norma (Lloyd) Pearson, Nancy (Jim) Stevens, Susan Moore, and Charlene (Jim) Fisher, all of southern Iowa. Thanks to Waterbury Funeral Services, Inc., Sioux City, Iowa, Shirley Hicks and Diane Tekippe for the information.